Didn’t know we had pro softball here, but it’s cool that we do. The new sports franchise debuting here this summer is appropriately named: the Houston Scrap Yard Dawgs. After an eight-year absence, professional women’s fastpitch softball is coming back to Houston and will be based at an 82-acre complex that is erecting a 4,000-seat stadium near The Woodlands. Yet two stars of the sport, Cat Osterman and Christa Willams-Yates – both University of Texas standouts and gold-medal Olympians from the Houston area – know the players on this team will have to be scrappers to succeed. Williams-Yates, 37, who now coaches at Friendswood ISD, was a pitcher with a windmill arm that used to send the ball flying across the plate for the last pro-team based here, the Texas Thunder. 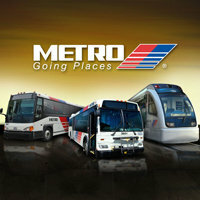 This franchise played three years in League City until its base operations were moved to Rockport, Ill., in 2007. Nonetheless, she won the pitcher’s triple crown in 2005 for her wins, strikeouts and earned run average while playing in the National Pro Fastpitch league. She quit after her team relocated to Illinois. “The lack of media attention killed us in Houston. Nobody knew about us. I can count on one hand in my three years on the team that there was anything in the news about us,” Yates said. But while the National Pro Fastpitch league has struggled with rebrandings under two other names since its launching in 2004, Osterman and Willams-Yates believe the best years are ahead for this league. They say the league has a new weapon: national TV coverage. Men ages 35-55 are the primary audience for the NCAA world series in softball on ESPN, said the Scrap Yard’s general manager, Kevin Shelton. I’m in that demographic. I enjoy watching the Women’s College World Series. It’s sort of like baseball, but very different in ways that make it really interesting to watch. I’m intrigued by a pro league in Houston, though having it out by The Woodlands dampens my enthusiasm a bit. I’m glad to see more opportunities for female professional athletes, and I wish the Scrap Yard Dawgs lots of success. Can they ever pass a road bond? Montgomery County Judge Craig Doyal says he will hold community meetings to assess what direction the county should go to improve mobility after a $350 million road bond package was defeated by county voters this month. The measure to finance 77 projects was defeated May 9 amid strong opposition to a controversial proposal to extend Woodlands Parkway to the west. About 56 percent of those who cast ballots opposed the proposal. Voters in the The Woodlands’ precinct soundly rejected the plan, although it passed, sometimes by a narrow margin, in the other three precincts. Doyal and other county commissioners plan to meet Tuesday to canvass the 28,400 voters, which is twice the number that went to the polls in the last road bond election. “I want to find out exactly what the people want,” said Doyal, following a cursory review of the election returns. Voters from The Woodlands turned out in the largest numbers, making up 40 percent of all who voted. More than four out of five Woodlands voters opposed the bond proposal. The next-largest turnout occurred farther north in Montgomery, where residents cast 17 percent of the ballots. Nearly two out of three voters there favored the package. See here for the background. With the caveat that I have not looked at any precinct data for this election, I’d say the issue here is not one of finding full support for a bond referendum, it’s of finding support from The Woodlands. Flip things around so that you had a bond that they loved but everyone else hated, and it would have passed. Of course, then three out of four County Commissioners would have opposed it, so it never would have made it to the ballot. How they square this circle, I have no idea, and as someone who sets foot (or tire) in Montgomery County maybe twice a year, I don’t have much at stake in it. But thinking about their bond failures, and the reasons why this particular referendum tanked, led me to the following thought: It is often said that the reason why many people support mass transit is because they hope other people will take it, thus freeing up space on the roads for themselves. I think something similar was at play here, where the “No” voters in the Woodlands only want new roads built that keep people out of their neighborhoods. Good luck figuring it out, y’all. One more election result of interest. This bond defeat sends county commissioners scrambling back to the drawing boards to find a bond proposal that voters in one of the fastest-growing counties in the state can support. Traffic back-ups are only expected to worsen as the county’s population of a half-million is soon projected to outstrip all surrounding suburbs. Experts forecast the population will increase by 108,000 – equivalent to a community the size of The Woodlands – in just the next five years and then surge to over 2 million by 2035. But bond supporters like Blair say the likelihood of commissioners coming back with a new revised bond proposal for November after two defeats is “very slim.” “Voters have shown they don’t want it. 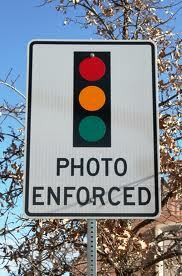 It makes me sad because we’ve gone a decade without any road bonds and the traffic is only getting worse,” she said. Bunch, the lone member of the 11-member road bond committee to oppose the bond proposal, admitted County Judge Craig Doyal and others had threatened to significantly cut the amount of bond money allocated for The Woodlands in any revised bond package as they did not want to reward the opposition. The failed bond package had included $105 million for road improvements in the precinct that includes The Woodlands – 30 percent more than the other three precincts. The other three were to have received between $80 and $85 million each. 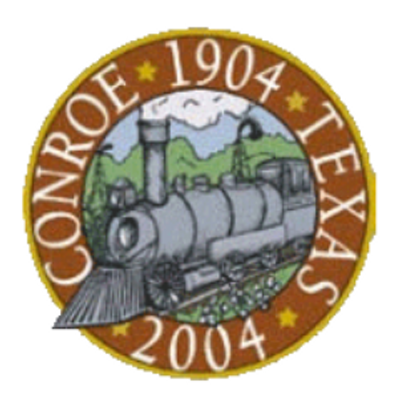 Meanwhile, several county commissioners, such as Jim Clark and Charlie Riley, said they weren’t likely to put a road bond proposal on the November ballot because there would already be a large school bond proposal from Conroe ISD on that ballot. Commissioner Riley has also vowed to keep the extension project in any new revised bond proposal. “Nothing would be different,” said Riley, whose precinct includes the territory where the extension would be built. He said that he believes that he has the backing of other commissioners. “I think this looks like another long year with no traffic improvements,” said Bruce Tough, who chairs The Woodlands Township. “Some of these groups are against government. But they demand more services and want taxes lowered at the same time.” The Township was split on the issue with three commissioners supporting the bond package, three others against and one taking no position. There was a pre-election story that covered a lot of the same ground in this article. I have no position on the merits of this bond and didn’t follow the debate at all. I’m just amused by it all. We hear all the time about how we need to spend money to meet the transportation needs of fast-growth suburbs like Montgomery when the people who live there can’t agree on what those needs are themselves. Maybe the fourth time will be the charm, Montgomery. Good luck with that. Last month, the Federal Railway Administration and the Texas Department of Transportation revealed two potential routes for a proposed bullet train that could one day connect Dallas and Houston by rail, but neither of the routes under review would come down I-45 in fast-growing Montgomery County. “We’ve taken and written a letter asking them to reinstate the I-45 corridor for consideration and to think about it one more time and at least assess it before condemning it,” he said. State and federal transportation officials recently narrowed the list of potential routes from nine to two. The excluded lines seemed a bit longer, which could prove more costly for a project that already has a price tag of more than $10 billion. See here for the background, and click the embedded image to see all of the proposed routes. I can’t argue with the logic, and in fact in past conversations I’ve had with the Texas Central Railway folks, I myself have suggested that a Woodlands-area station might make sense for them. The two “recommended” routes were chosen because they were the lowest cost, which is a non-trivial consideration in a $10 billion project. A big complicating factor is how routing the trains along I-45 might effect the cost and feasibility of bringing the trains to downtown Houston, where the terminal ought to be and is most likely to be. One possible route into downtown involves the same corridor as a proposed commuter rail line along 290, which obviously isn’t compatible with a Woodlands-friendly location. I don’t know what the best answer is, and unfortunately not everyone can be accommodated. Good luck figuring it all out. By the way, the Central Japan Railway Company, one of the backers of Texas Central Railway, recently began test runs of a maglev train that can reach 300 miles per hour. By the time this line is finished, it could provide an even quicker ride between Dallas and Houston. Yeah, I’m excited by the prospect. Conroe native Jay Ross Martin says he never imagined his rural hometown in the piney woods developing bustling retail centers, a thriving housing market and a population that’s more than doubled in the past 20 years. The change has catapulted Conroe, the county seat of Montgomery County, into a “new world,” says Martin, a former city councilman. 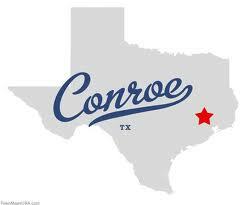 This year the U.S. Census Bureau made it official by designating an area surrounding Conroe and The Woodlands as a “large urbanized transit area.” The designation, based on its population exceeding 200,000, makes the area eligible for federal transportation dollars. I think the issue of traffic congestion for these fast-growing areas is bigger than its boosters would like to admit, and merits more attention than these three little paragraphs at the end of an otherwise hagiographic story. Suburban development, with its one-way-in-and-out-of-subdivisions design and complete dependence on freeway access, is a recipe for congestion. There’s no easy way to deal with it, either – adding lanes only does you so much good if everyone is headed for the same on-ramp. I hope now that the Conroe/Woodlands large urbanized transit area is eligible for federal transportation dollars that they will give some thought to regional transportation solutions – buses, and if they’re really smart, commuter rail. That Houston-Galveston rail line that’s been in the works forever would be even more valuable as a Conroe-Galveston rail line. If they’re not thinking about it now, I guarantee they’ll regret it later. They’re opening the first Houston-area store in the Woodlands, which doesn’t count as far as I’m concerned. But it’s all right, the one I am interested in will follow behind shortly. The 13,500-square-foot store at 10868 Kuykendahl has a fraction of the items found in a big supermarket but does offer a trove of gourmet and organic items, often value priced. For example, a 15-ounce box of toasted whole grain oats cereal is $1.99. Monrovia, Calif.-based Trader Joe’s will open two more Houston-area stores this year, in the Memorial area at 1440 S. Voss and in the Montrose area at 2922 S. Shepherd in the renovated Alabama Theater. See here, here, and here for some background. We’ve enjoyed visiting Trader Joe’s when we’re in Portland with my folks. It’ll be nice to have one here nearby. Between this, the Dunlavy HEB, and the Waugh Whole Foods, Montrose is clearly the grocery store capital of Houston. Prime Property has more on the goings on at the Alabama Theater location. Local law enforcement agencies that have had to wait six months or longer for forensic test results from overworked crime labs will soon be able to turn to a new crime lab in The Woodlands for help solving cases. The federally funded Sam Houston State University Regional Crime Lab opened this year to help alleviate chronic case backlogs. It won’t begin taking cases until the end of the year, when it’s expected to receive accreditation. The lab, which is part of the College of Criminal Justice at Sam Houston State University, will handle up to 6,000 cases a year from as many as 200 law enforcement agencies in Southeast Texas. “Instead of having to endure long backlogs at labs in Houston and Dallas, our local law enforcement agencies will be able to get their tests performed and analyzed more timely,” said U.S. Rep. Kevin Brady, R-The Woodlands, who began pushing for funding to create the new facility about three years ago. “Saving taxpayer money and precious time means more efficient law enforcement,” Brady said. Emphasis mine. Yes, those evil, filthy federal funds, doing good while costing less. I guess as long as it’s being used on apprehending criminals, and not helping sick people get health care, it’s okay. Just so long as we’re all clear on the fact that those criminals were apprehended through the benificence of that over-reaching, tyrannical federal government. On January 1, a unique experiment in city-like governance will commence in The Woodlands. A new government body, approved by residents two years ago and called The Woodlands Township, will take control of the Montgomery County community 30 miles north of Houston. The change is historic because no other community in Texas has ever had legislation written to create such a unique government entity and to enable it to enter into an agreement with a city to avoid annexation. The township is a special-purpose district that, in some ways, will look and act like a municipality when it really isn’t. The township, for example, can collect property and sales taxes to provide services, but it can’t adopt ordinances. It can maintain parks and trails, but it can’t fix potholes or build new streets. The township board will be responsible for making important decisions about the community just like a city council. It will be made up of seven board members, including a chairman who is similar to a mayor. Daily operations of the government will be overseen by a president whose duties are similar to a city manager. It doesn’t say in this story, but according to this archived Chron story, the Town Center Improvement District board “would transition from an 11-member body, consisting of appointed and elected directors, to a seven-member communitywide elected board by 2010.” It also says that five of those seats were up for election in 2008, but I can’t find any evidence of that in the Montgomery County election returns. I guess they held the election, and will hold another one in 2010, but I’ll have to take someone’s word for it. As for the setup they’ve chosen, I don’t really have an opinion one way or the other, I’m just sort of fascinated by it. There will likely never be anything else like it. I’ve heard of bottle recycling, plastic recycling, and even computer recycling but never cork recycling. Apparently, some Houston area liquor stores are on a campaign to recycle corks from wine bottles. In fact, one store in The Woodlands will donate 2 cents for every cork turned in by its customers. That money will be used for cancer research and care. The store I encountered has plans to match the 2 cents for every cork turned in. As a matter of fact, I have heard of cork recycling. What I hadn’t heard of was where you could do it locally. Unfortunately, Carey’s post doesn’t really answer the question. And even if it did, it wouldn’t really be economic for me to drive up to the Woodlands to drop off some wine corks. Maybe as single stream recycling gets introduced to more neighborhoods in Houston, wine corks can be added to the list of accepted items, if they aren’t already.